weeks. The main goal of the low orbit is to collect data for the gamma ray and neutron detector (GRaND) and the gravity experiment. GRaND will be looking for the by-products of cosmic rays reflected off Vesta to reveal the identities of many kinds of atoms in the surface of Vesta. The instrument is most effective at this low altitude. Close proximity to Vesta also enables ultrasensitive measurements of its gravitational field. These measurements will tell scientists about the way masses are arranged in the giant asteroid’s interior. After the science collection is complete at the low altitude mapping orbit, Dawn will spiral out and conduct another science campaign at the high altitude mapping orbit altitude (420 miles, or 680 kilometers), when the sun will have risen higher in the northern regions. 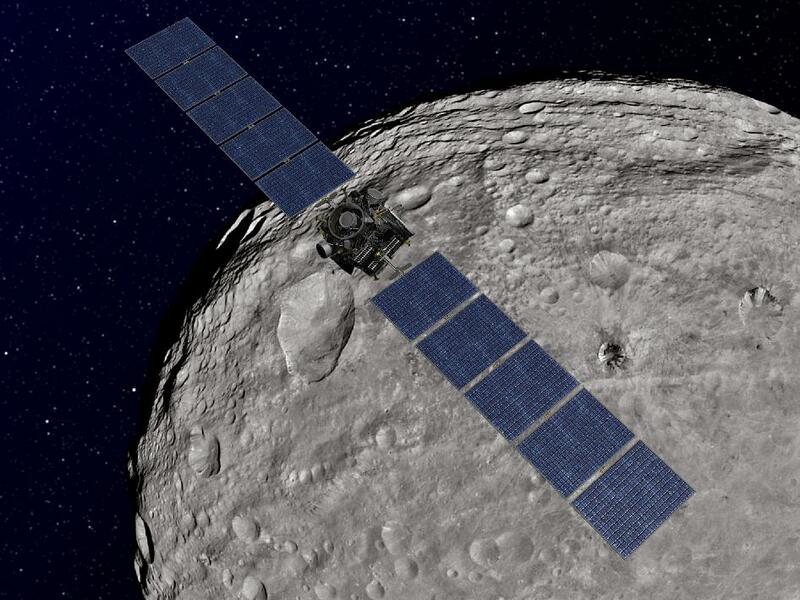 Dawn plans to leave Vesta in July 2012 and arrive at its second destination, the dwarf planet Ceres, in February 2015.